The World Health Organization is set to deliver a verdict on the potential danger of 2,4-D herbicides widely used in the agribusiness, and which was one of the key components of Agent Orange used during US herbicidal warfare in Vietnam. The move by the International Agency for Research on Cancer (IARC), a research arm of WHO, to examine the chemical comes shortly after the agency classified glyphosate or Roundup herbicide, produced by Monsanto, as “probably” cancerogenic. Now the stage is set to determine the possible health risk posed by the 2,4-D. Some 24 IARC scientists are due to deliver the verdict after examining pro and con studies on the issue. Their week-long meeting is scheduled to start on June 2 in Lyon, France. Produced mainly by Dow AgroSciences, a unit of Dow Chemical Co., 2,4-D is one of the most widely used herbicides in the world. Humans could be exposed to the chemical through the skin, mouth or airways, if one just forgets to wash their hands. If exposed for a prolonged period of time, the herbicide could cause cancer, a few scientific studies have suggested in the past. Short term exposure symptoms of 2,4-D poisoning could include irritation and inflammation of eyes and skin, hives, nausea, and difficulty breathing. The herbicide can also be very toxic to fish and other aquatic life, once it enters a water stream. Many scientific studies over the years have come up with evidence showing cancer connections with 2,4-D, said IARC scientist Maria Leon. In particular environmental exposure to the herbicide on the farm has been hypothesized to contribute to the long-term increase in non-Hodgkin lymphoma (NHL). IARC working group is to determine the strength of the evidence offered by both critics and supporters of 2,4-D use, Leon said. Denying any carcinogenic links of 2,4-D, Dow Chemical is ready to put out a fight to protects its business interests, and will send a scientific task team, armed with some 14 company funded studies that dismisses 2,4-D as cancer causing agent. “The epidemiology evidence does not support an association between 2,4-D and NHL, gastric cancer, or prostate cancer risk,” said Julie Goodman, a scientist and consultant working for the 2,4-D task force. In an agribusiness chemical arms race, Dow’s development of 2,4-D-resistant crops came about once first-generation genetically-modified crops made by Monsanto evolved to resist the company’s Roundup herbicide. The flood of new GE crops increased the use of glyphosate, also linked to a host of other ill health effects, and the emergence of glyphosate-resistant superweeds. 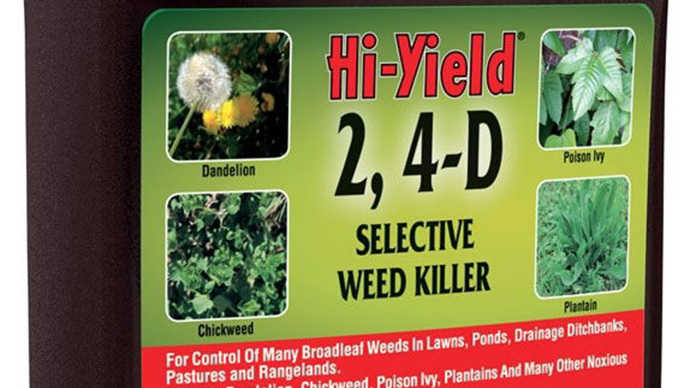 The 2,4-D chemical, combined with glyphosate, makes up the herbicide Enlist Duo. The chemical also makes up half of the toxic mix in the now infamous Agent Orange, used by the United States during the Vietnam War, which is thought to have resulted in the deaths of an estimated 400,000 and birth defects in 500,000 people.